There's a new game brewing, one that is very promising. 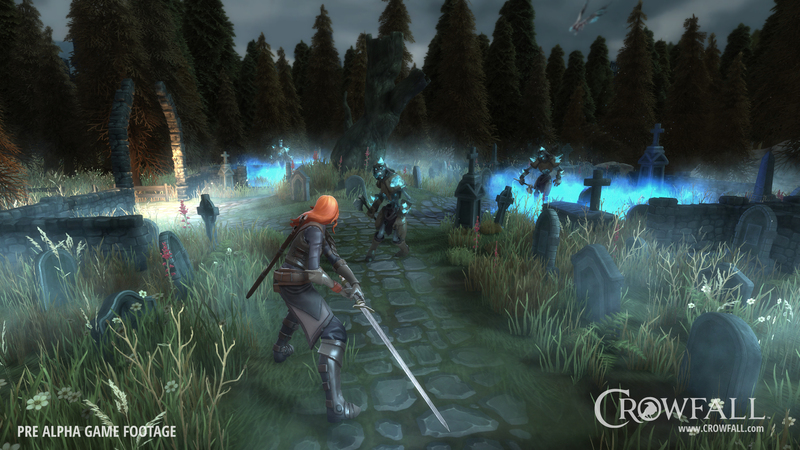 It's called Crowfall, and is a game based loosely on The Game of Thrones. The basic premise of the game is that there are "seasons" where large-scale conflicts roar. At the end of the season, winners take loot back to their persistent home world, losers walk. The game is built on the Unity framework, but also utilizes the power of voxels to allow for malleable terrain. You'll destroy things and build things in this game, but that's merely a side-effect of the planned game play. The game has an interesting feature called the "Eternal Kingdoms", where your spoils of war go on show-case. The Eternal Kingdoms isn't just a trophy room, it's an actual kingdom, and you are the king. Players can visit each other's kingdoms, grant tracts of land to each other, charge fealty, etc. etc. It's an entire side-game of politics and opulence. Recently, this game accrued over $1.2 million in funding on KickStarter, with the promise of "Mounts for everyone" if they reach their stretch goal of $1.3 million. This puts them currently in 19th place of highest-funded video games on KickStarter, and there's still 7 days left. Very impressive.